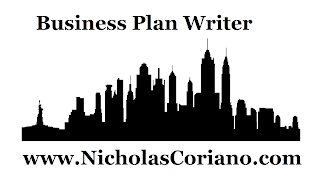 Would you like to meet up with a business plan writer in New York City to develop your business plan? As a business plan writer right outside of New York City, I offer to my clients the ability to sit down with them and get all of the information I need to develop a great business plan. The big city that doesn't sleep has entrepreneurs and business executives that don't sleep. And when they hire a business plan writer they should expect that the business plan writer is working as hard as they are. How can you meet with a professional business plan writer in New York City? It's simple, simply call or text me at 203-685-0346 or shoot me over an email and we can schedule our first free phone consultation. In that first phone consultation we will schedule a time to meet in New York City for your business plan writing needs. If you want someone to think deeply about your business plan and research and develop the material thoroughly, then Nick is your guy. As a small proprietor he takes care of all of his clients and treats them as if they were the only client. You are not just a number or a template like you are at some other consulting firms, the competitive advantage is that Nick can be reached at any time to discuss your business plan. Once retained. How much does it cost to meet up in NYC with a professional business plan writer? My business plan packages start at $250 and range to $1,000 depending on the depth of research and the length of the plan as well as the details in the financial projections. To meet up in New York City the charge is $300 in addition to the price of the business plan you choose. See the business plan prices here. This includes two visits to New York City for an hour each where we sit down at a café near grand central station and really brainstorm your business. It also includes a professionally written business plan, unlimited support and communication, mentorship and a soundboard to bounce ideas off. After we meet up the first time how long does it take to get the business plan? It takes seven days from the time we first meet for me to deliver the business plan. We will most likely meet at the same spot we met during our initial business plan writing consultation.